The tractor is huge and has all-metal tires which are great. The man in the video hand starts the tractor turning the wheel-like mechanism right in the middle of it, and then we hear its sweet sound that will come like a nice music to your ears. 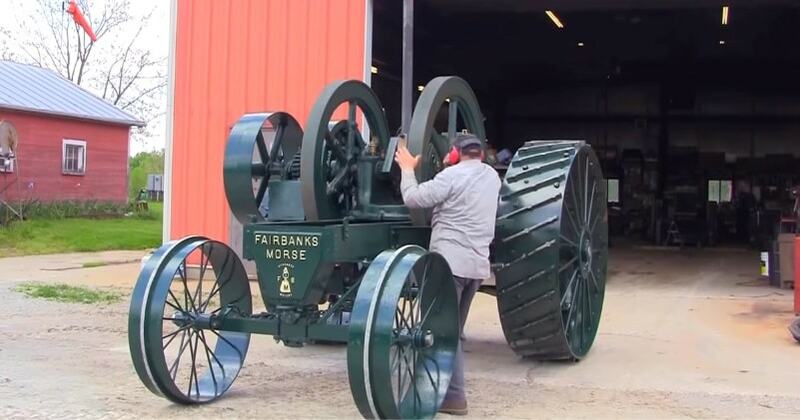 The company entered the tractor market in about 1910 with a 25 horsepower unit, and two years later a big 30-60 model was offered.This 1913 Fairbanks tractor featured two driving wheels 30 inches wide by 78 inches in diameter with a 5 1/2-inch axle.